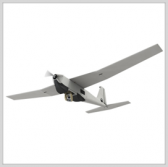 AeroVironment has secured a $44.5 million contract to supply small unmanned aircraft systems to an undisclosed military customer in the Middle East. The international client ordered Puma II AE UAS that features with Mantis i45 electro-optical/infrared gimbal sensor package and offers tactical reconnaissance capacity for maritime and ground missions, AeroVironment said Tuesday. Canada’s department of national defense selected AeroVironment’s platform to aid maritime security operations in the country. Puma II’s sensor works to collect high-resolution imagery for target analysis and helps an operator identify adversarial threats and friendly forces. AeroVironment developed a common ground control system for customers to manage the aircraft manually or configure its system for GPS-based autonomous navigation.